In 1997 she graduated from KarSU EA Buketova specialty “Mathematician. Teacher”. From August 1997 she worked as a teacher, then as a senior teacher at the Department of Medical Biophysics at KSMU, where she taught a course in mathematics and computer science. In 2007, she won the competition “The Best Young Scientist of KSMU”. 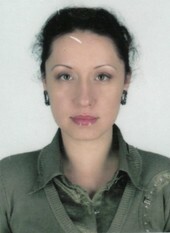 In March 2009 she defended her thesis for the degree of Candidate of Pedagogical Sciences in specialty 13.00.08 “Theory and Methods of Vocational Education”, Astana. Since August 2009 he has been working at KSTU as the head of the SDP, since January 2011. works as a senior lecturer at the department of Higher Mathematics. In 2015, she won the title of “The best teacher of the university in 2015.” (MES RK). He has more than 70 scientific papers. Hirsch Index – 2.